I hope you enjoy this look! I was inspired by the massive pumpkin craze that is happening right now. Literally everywhere I look there is something pumpkin themed! Pumpkin spiced lattes at every coffee shop, pumpkin recipes, pumpkin beer, pumpkin spice OREOs. It’s seriously getting out of hand. I think I spotted about nine different pumpkin flavoured candles at Bath & Body Works the other day. The girl who helped me at the Lush store said it perfectly! She tried her first pumpkin spice latte from Starbucks not long ago and said she “spontaneously started to grow UGGs”. But I have to be honest…I’m totally OK with this trend! BRING ON THE PUMPKIN! Personally, I am not one to wear “BAM”, in your face, neon orange. And while some people can pull it off, others prefer a more toned-down look. In this case, I would recommend using a colour with pink or copper tones. 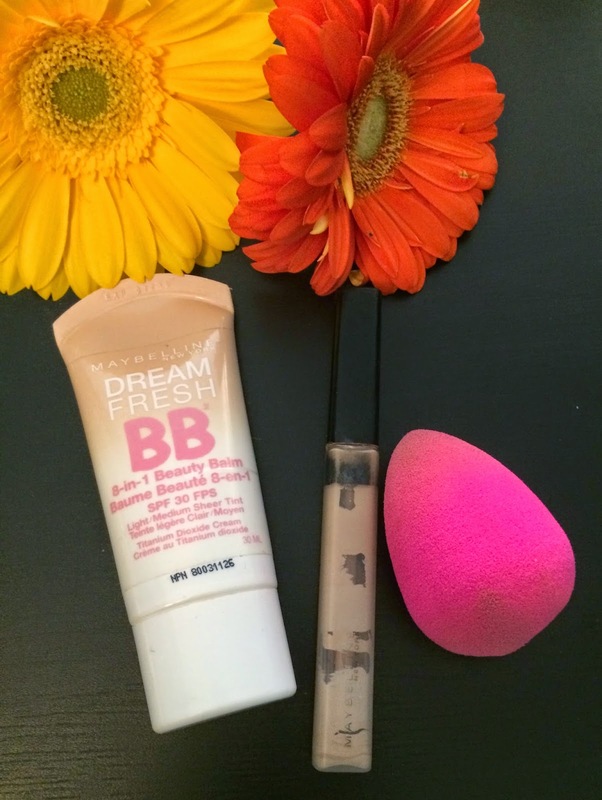 I prepped my face using the Maybelline Dream Fresh BB 8-in-1 Beauty Balm in Light/Medium with a beautyblender. If you haven’t tried one of these, you should! It’s such an amazing tool and so quick to use. It’s a sponge that’s best used if damp. 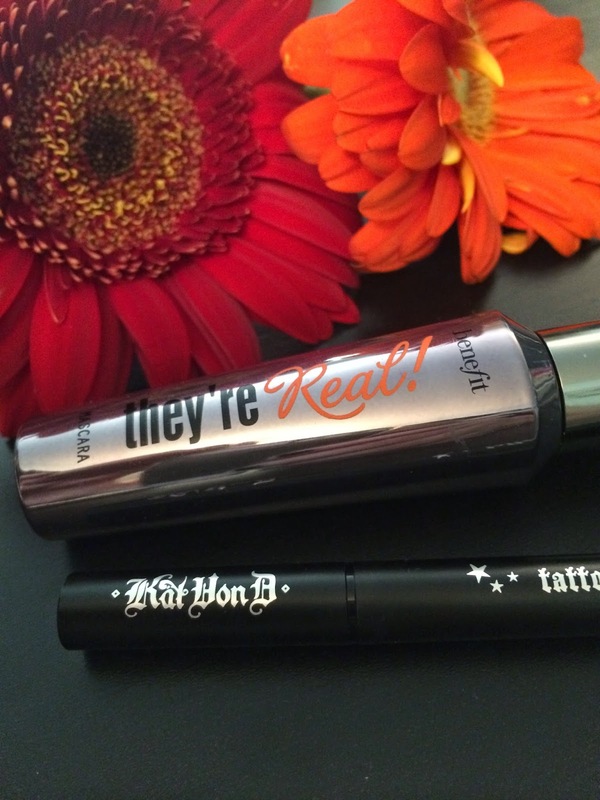 It actually doubles in size when wet and is insanely easy to apply foundation with. It’s great for days when you may have rolled out of bed a little late for work and don’t have much time to fuss around with makeup. The moisture in the sponge also acts as a barrier, so it doesn’t soak up quite as much product as a brush would. Definitely Birdy approved! I concealed under my eyes using a Maybelline New York Concealer in Fair and patted it in using the pointed end of my beautyblender. If you read my last post featuring some empty products, you’ll find this guy there. Unfortunately it was on it’s last limbs and we had to part ways. 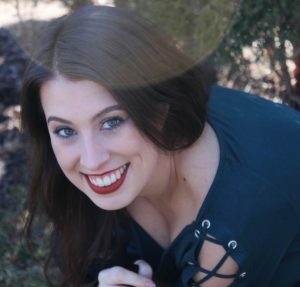 After applying some Lorac Pro Behind The Scenes Eye Primer as a base, I began working on my eyes. 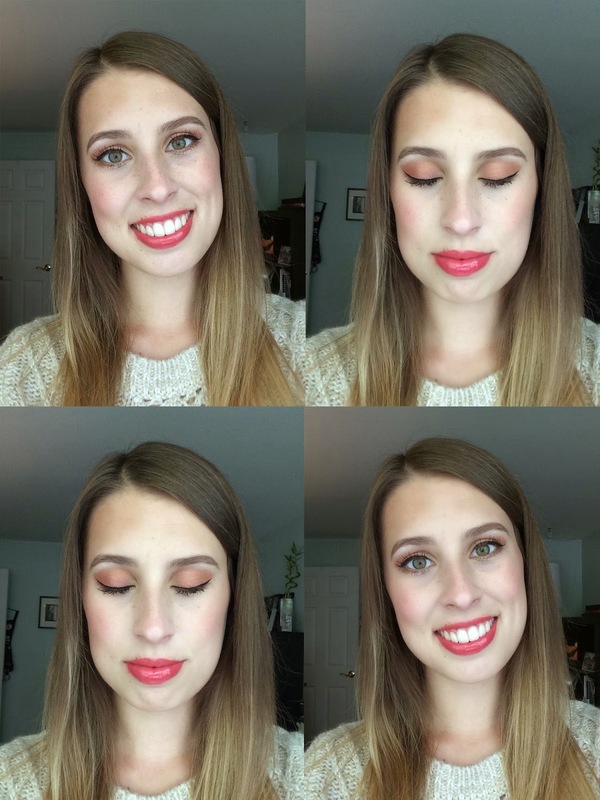 I actually used the orange blush from my BH Cosmetics Glamorous Blush Palette all over my lids first. On the inner corner I used a light orange-y colour from the BH Cosmetics 88 Color Tropical Shimmer Palette. 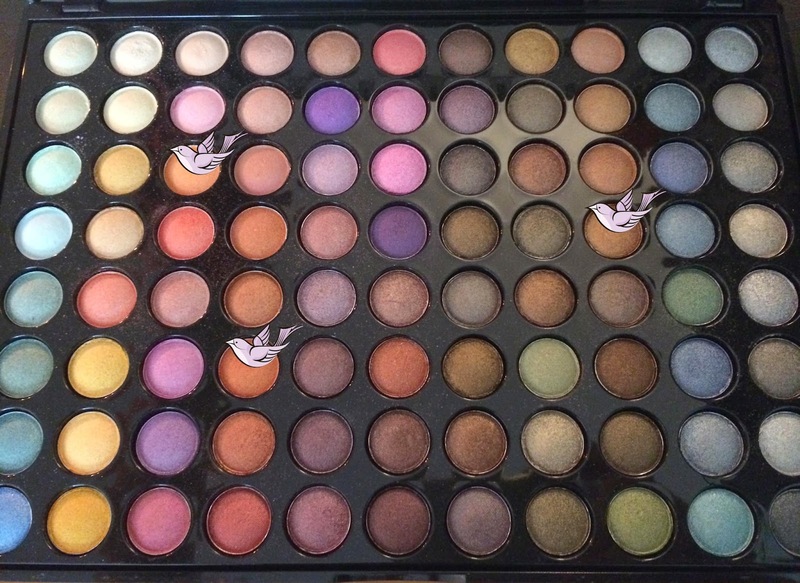 The colours in this palette do not have names, so I’ve marked the ones I used for this look with a little birdy :). I mixed a bit of the dark orange and brown colour together and blended that into my crease and outer v-shape of my eye. I also smudged this combination onto my lower lash line. Next I created a slight winged liner using the Kat Von D Tattoo Liner in Trooper and applied a couple of coats of Benefit Cosmetics They’re Real! Mascara. A lot of bronzers can be tinted slightly orange. Therefore, I chose to skip this step. I didn’t want the tan/brown and orange colours to muddle together and look dirty. The last thing we want is to smother my face in too much orange and look like a pumpkin. 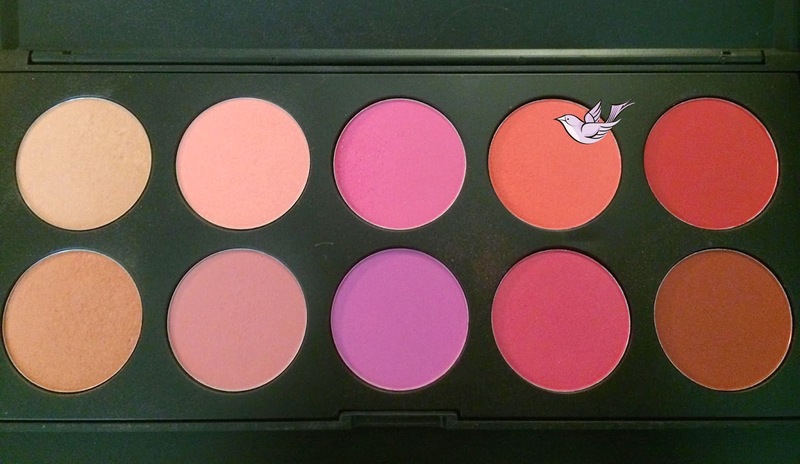 I used the same blush that I used on my eyes and applied it to the apples of my cheeks. Because I used mostly shimmery colours on my eyes, I wanted to balance this look out with a matte lip. The winner for this look was the Revlon Colorburst Matte Balm in Audacious. It’s a vibrant orange that leans red. Ps. I made sure my lips were well exfoliated and moisturized before applying this. It is a fairly dry formula and can accentuate cracks in lips. What you DON’T want to hear while wearing orange makeup is “IT’S THE GREAT PUMPKIN CHARLIE BROWN!”. But I promise you, orange can be wearable and I hope this post proved it.